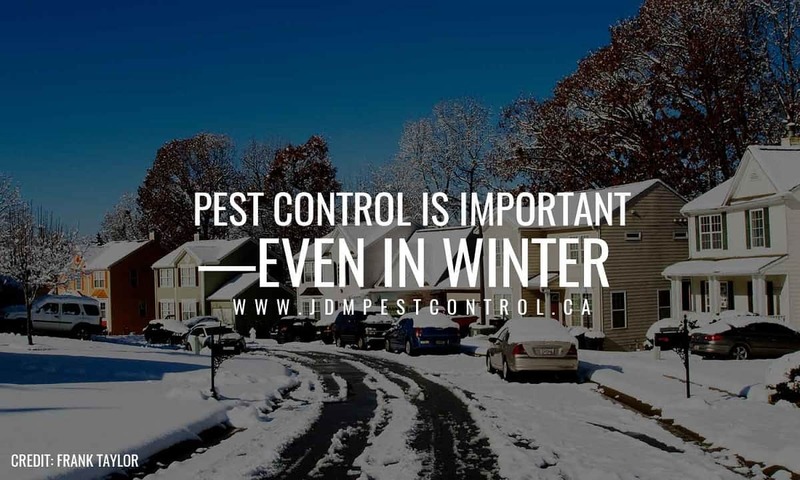 It’s a common misconception that pests disappear until spring, and winter may not seem like the right time for pest control. However, many animals and insects take refuge inside homes where they continue to grow and multiply. Many also carry diseases and must be removed as soon as possible. Take preventive measures early to avoid an infestation come spring. Learn why winter pest control is a priority for both homeowners and businesses alike. Pests are usually looking for two things during winter: food and shelter. If they sense that your home will fulfill either of these needs, they’ll find a way inside. 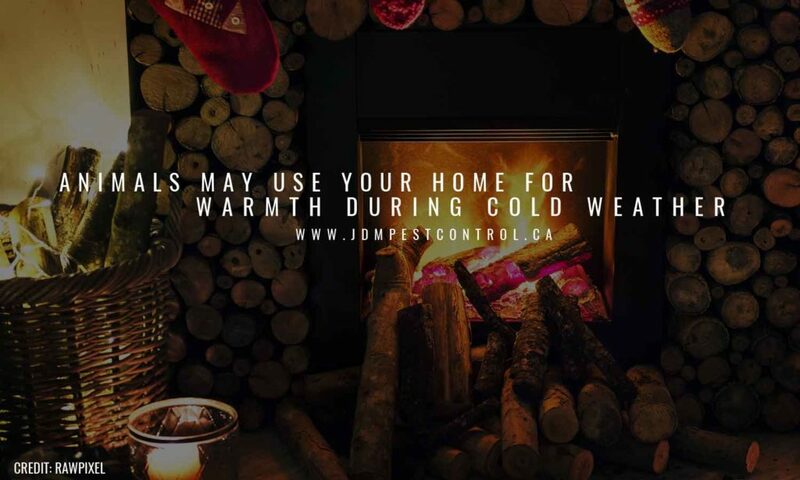 Houses are attractive during cold weather because they provide many outlets for warm shelter, and once inside, pests are less inclined to leave. It’s important to be vigilant and take action when you spot any signs of pests within your home. Instead of migrating south, some insects escape the cold by taking shelter inside homes and buildings. Many species (e.g. ants, roaches, and spiders) hide in basements and attics starting in late fall and can be a common sight during winter. As the weather warms up, these insects begin to reawaken and move throughout your home. Destroying eggs, nests, and webs decreases the possibility of insects returning in the future and makes it more likely that you’ll be rid of the pests for good. Termites and carpenter ants can eat away at your home from the inside out. This can do serious damage to wood foundations and furnishings, and the effects may not be noticeable until it’s too late. During winter, termites may start to reproduce indoors, increasing the infestation. Avoid costly and time-consuming repairs to property damage by hiring pest control professionals to handle wintertime problems. Perform regular inspections to catch early signs of wood-destroying insects. Rats, mice, and squirrels can be a year-round problem, especially during winter when they’re searching for warmth. Rats and mice can squeeze through very small openings, making it easier for them to enter your home through cracks and holes. Once inside, they hide in dark areas like crawlspaces and attics. 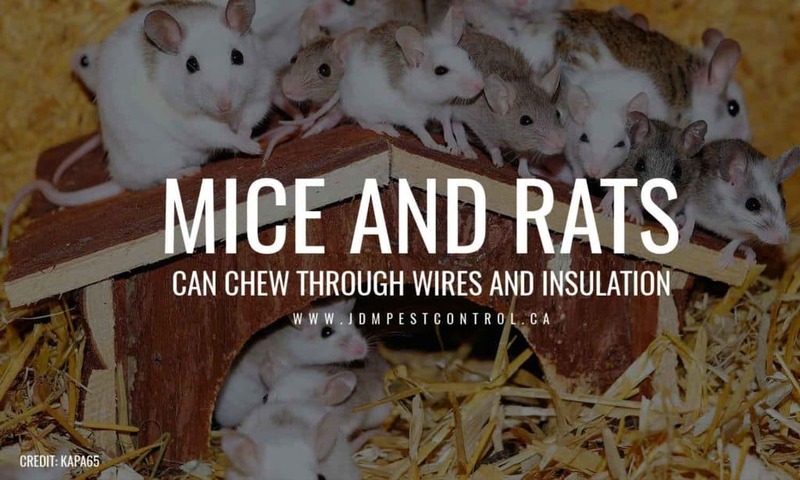 Rodents are able to chew through wires, insulation, and furniture, causing expensive damage. Regular rodent control can identify signs of an infestation and remedy a problem before it gets worse. Entry Point Inspection: Regular inspections by a pest control professional can locate cracks or holes in your home or foundation that you may not be able to see on your own. Seal any unnecessary entry points and replace weather stripping around doors and windows to protect you from intrusion from uninvited pests. Check interior walls and baseboards for other potential entryways. Exterior Treatment: Exterior treatment is key to securing your home in any season. Tidy up your yard to remove any potential hiding places. Remove standing water and repair other water sources like leaky pipes and clogged drains that may entice pests to your home. Store firewood at least six metres away from exterior walls; rodents and ants can use it as a nest and gain access inside if it’s too close to the house. Pest control services also provide perimeter treatments to deter pests. Focus on natural solutions to keep pests away and hire pest control experts who use non-toxic methods to avoid damaging the local ecosystem. 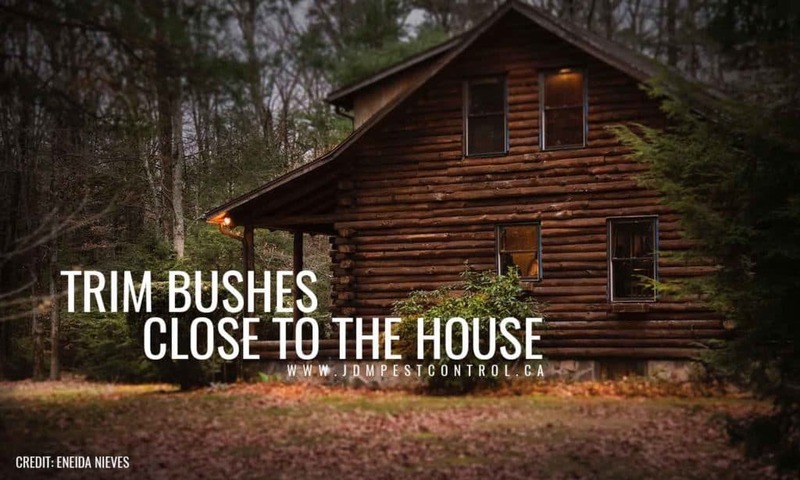 Signs of a pest infestation may be more noticeable in winter than they would be in the summer. Less time spent outdoors means more time inside where you’re more likely to notice mouse droppings or an ant trail. Knowing the signs of a pest infestation will keep you and your family safe no matter the season. Many wild animals can be disease carriers, especially rats, mice, squirrels, and raccoons. Once inside your house, they can make their way into living areas and pose a health hazard. If they get into your HVAC system, their fur and dander can contaminate the air and aggravate allergies. A professional pest control service can remove these animals before they cause harm to your home and family. With less pest activity in the winter, many pest control companies are less busy during colder months. This makes winter is a good time to call for assistance. With greater availability, pest control professionals may be able to respond to your problems more promptly. You can take steps to reduce the likelihood of a pest presence in your home. Many of these tips work for more than one type of pest, allowing you to keep your house free of multiple infestations. Consider using these ideas to help safeguard your home from future problems. Organize clutter – Rodents inside the house can hide in clutter (e.g. newspaper piles and boxes). Keep your storage areas organized to reduce the number of potential hiding places. Place boxes up high to prevent rats and mice from using them as warm nests when it’s cold. Keep the house dry – Accessible water sources are factors in attracting pests. Eliminate all moisture sites inside the house (e.g. leaking pipes and clogged drains). Pay close attention to the kitchen and bathroom, as these areas are most vulnerable to cockroach infestations. Clean any spills immediately. 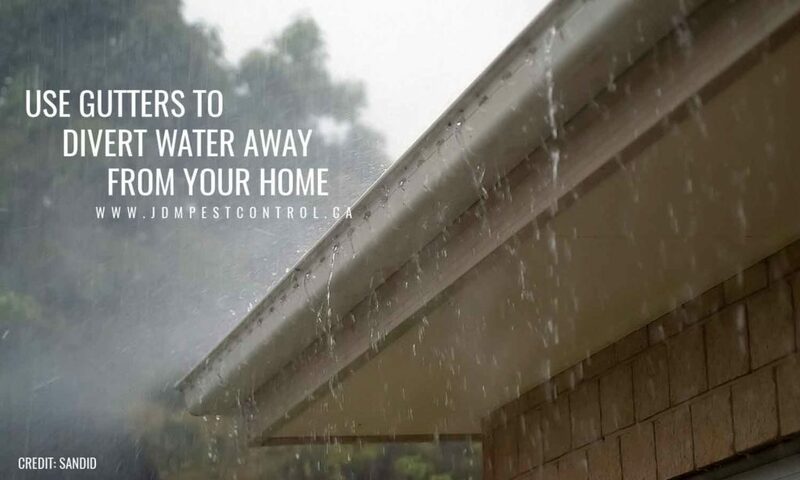 Install gutters – Water can build up outside, especially when heavy rain falls or snow and ice melt. Rainwater can then enter the house and make it more susceptible to pests. Install gutters to channel water away from the house, and check them regularly for obstructions. Trim shrubs – Pests may use shrubbery in the yard for temporary refuge as they make their way inside your home. Trimming overgrown bushes will render them too thin to be used as adequate shelters. Place plants far from the house to make them less accessible. Pay attention to overhanging branches above the roof; they can be used as bridges to cross into the attic and other rooms. Pest control is a year-round job, and many critters get ready for their spring resurgence before winter arrives. Prepare your home early by keeping an eye on common pests that resurface when temperatures start to rise. Regular pest control during winter will control their numbers and avoid an infestation. JDM Pest Control handles the needs of both residential or commercial locations. Our solutions are lasting, to keep pests away long after we finish the job. We are committed to eco-friendly methods to keep you and your family safe as we work. 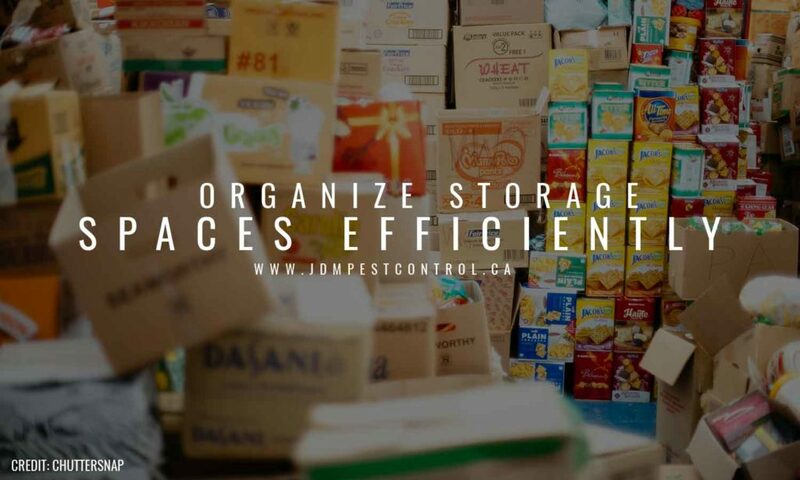 For reliable rat, mouse, and ant control in Mississauga, Vaughan, and the Greater Toronto Area, call JDM Pest Control at (416) 729-3568.